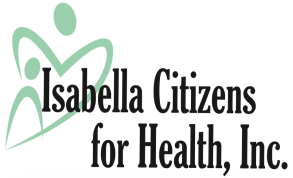 Contact/Hours - Isabella Citizens for Health, Inc. In an emergency, proceed to the nearest Emergency Room. Patients may call the Health Center's phone numbers and have the option to be connected to the 24/7 answering service. In an urgent situation, the answering service will contact a Health Center Provider. Call the office to schedule. ​Our Family Practice and Pediatrics offices are both located in the Central Michigan Health Park, across from one another.